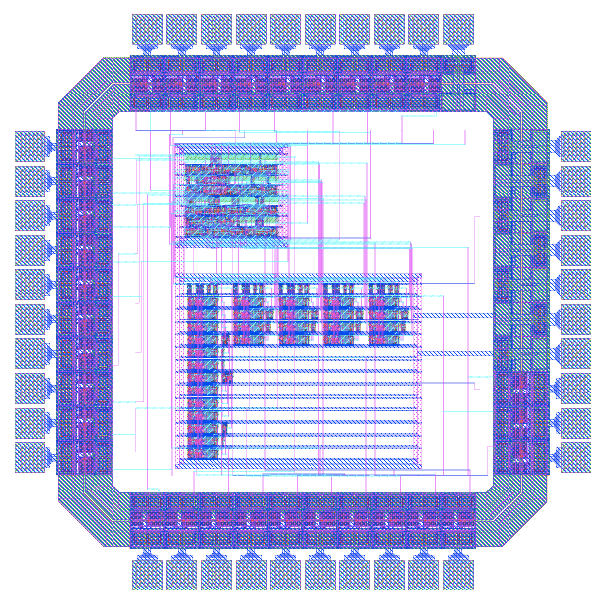 This chip acts as the brains for a stopwatch, outputting a running count to four seven-segment displays. It is a mix of custom and synthesized logic. The synthesized block was compiled from Verilog and controls the seven-segment diplays. The custom block keeps track of time, and was laid out by hand.